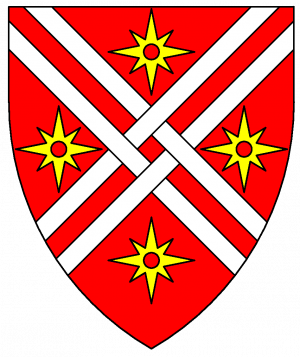 Gules, a saltire parted and fretted argent between four compass stars pierced Or. The Honorable Lady Eridana Ambra Dragotta is a member of House of Five Belles. This page was last modified on 8 August 2017, at 18:31.